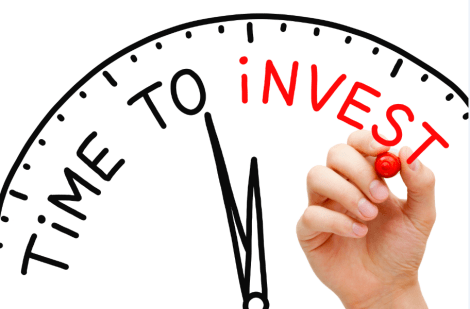 When do you invest in your employees? I was speaking with a friend yesterday who had recently started a new job. He was telling me about the 5 week onboarding process he just went through. He said it was intense. What struck me about the content of the onboarding was that it wasn’t just focused on learning the job. It was largely focused building a successful person. One aspect he told me about was how they spent time on financial awareness. He said they want their employees to be debt free, to have a sound and solid financial outlook so they could concentrate on their family and their work. I’ve worked for some cool companies who do some cool things, but this was over and above. As he shared more of the onboarding process, it made me think of how much this company is investing, upfront, in their employees and their success. If you were to put a dollar figure on it, it might equal what other companies spend, but the timing might be different. So why spend all this time and energy upfront? How many of us have had employees that seemed to be a perfect fit in the beginning, but ultimately proved us wrong over a period of time? Or, if we’ve had employees that had outside distractions that prevented them from being a productive employee? By taking all of the time and care upfront, you certainly save yourself (or minimize) headaches down the road. Zappos is famous for their company culture and customer service. You may have already heard about a tactic they take upfront with employees… after 4 weeks of onboarding, they give you an out. If things aren’t working, they will give you a $3000 bonus to leave. Having the right people on board is that important to them. So if you were too look and WHEN you were spending money on your employees, what does it look like? You certainly spend time and money to recruit, hire and train them. If they don’t work out, now you have to spend time and money to replace them. Are you doing an end of season bonus? Does it work as intended? What if you took that money, and some of the money you usually spend in the middle of the season when you have to replace people and beef up your efforts at the beginning of the season? Maybe that means a more involved hiring process… maybe it means more extensive training… maybe it means hiring an extra supervisor that can help oversee, guide, and motivate your employees? And I should also mention, this is not just about money. It’s also about investing your time. When your employees begin working for is the time when they need you the most. That’s habit forming time, and you want to make sure they are developing the right habits. If the efforts of my friends company and Zappos has told me anything, it’s not only HOW MUCH you invest in your employees that counts, it’s also WHEN you invest in them that will give you the greatest results. About the author: Matt writes about the timing of investing in your employees in his book, The Myth of Employee Burnout. Often, having the right person on staff from the get go leads to happier, more productive employees. But, that doesn’t mean they don’t need guidance from you! Click here to learn how to get your leadership teams ready for the upcoming season! How many times do you hear (even from me) that as leaders we have to be able to ask the right (and tough) questions? We have to ask our applicants the right questions to see if they would be a good fit for the company. We have to ask our employees the right questions to see if they are satisfied with their work experience. We have to ask our customers the right questions to be sure they like our products. We have to ask the right questions about our organization to make sure we are as efficient and productive as possible. So we are asking lots of questions, but do we really want to hear the answer? If not, what are we afraid of? Recently I got the chance to hear a good friend do a presentation. He had great content and developed an immediate rapport with his audience. He also asked some really insightful and thought-provoking questions during the session. And then HE answered them. We spoke after the session, and I asked about the questions he asked and the fact that the audience didn’t have a chance to respond. Here’s what he said, “I’m not really a fan of asking questions during a session like that. You never know what people are going to say.” He said he didn’t want someone grandstanding or taking the conversation off course. He was afraid of the impact that would have on his presentation. On the other hand, what if allowing the audience to answer gives you more information, provides additional insight to the other audience members and further engages them because they got to participate? That would be good, right? So what are we afraid of? Usually it’s the unknown, and whether or not we’ll be able to handle it. If we ask our employees about their experience, are we afraid they’ll actually tell us – and that we could be the problem? If that’s the case, we probably already know that there is something else we could be doing to make their experience better so they could further help us achieve the company mission. We just may not know what it is. But what if this happened… what if your employees pointed out a potential short-coming in your abilities or the employment experience you created? Isn’t there a possibility that that information could lead to you improving your performance, which could lead to higher morale, less turnover and higher profits? If you agree that yes, that is a possibility, then go ahead and ask the question AND be ready to listen to the answer. About the author: Matt asks questions all the time about what organizations need to be successful. The answer he hears? “We need our front-line and seasonal supervisors to have the skills needed to actually LEAD.“ Matt listened. Click here to learn how to prepare and motivate your leaders for the upcoming season. If you talk to just about any musician who has been playing for awhile, they will tell you about one (or more) pieces of equipment they use that they are very particular about. As a drummer, for me, it’s my drumsticks. It’s not that I can’t play with other ones, but given the choice there is a certain make and model that I like. They are: ProMark 5A, wood tip (oval), made of hickory. That may seem over-particular, given that this sticks’ purpose in life is to hit other objects at various velocities and intensities. But each player has his or her own preference for how the stick feels in their hands and how it makes the drums and cymbals sound. I’ve tried others, (various sizes and materials), and have found this pair, the ProMark 5A hickory wood tip to be the one that works best for me… for now. Different styles and playing situations call for different sticks, but that’s another story for another day. This talk about being particular made me think of my good friend William and trash cans. William was the outgoing manager in charge of Park Services at Valleyfair when I was the incoming manager of the same department. He taught me A TON about trash and park cleanliness, but one particular lesson stuck with me, mostly because William was so… um… particular about it. It had to do with trash cans not wearing skirts. 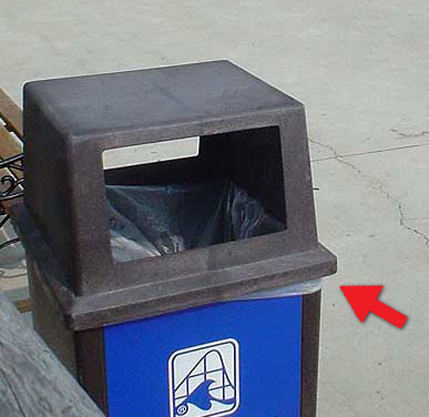 You see how the trash bag is poking out from the underside of the lid? William hated that, and through his teachings I came to hate it, too. The picture above is a fairly minor infraction – it can get much worse. It became my mission to educate my employees on the importance of trash can appearance. Over and above the skirt issue, were they faced and spaced properly so they were easy and convenient to use? Were they clean and not overflowing? These may sound like common sense, but if no one is paying attention to the particulars, these areas could easily go unnoticed. Then guess what… your facility starts to look a mess and the guests won’t come back. Skirts matter. So here’s the question: What are you particular about? What do you care so deeply about that you go out of your way to educate those around you? Leave a comment and let us know what you are particular about. About the author: Another thing Matt is particular about is supervisor training. He feels it doesn’t make sense to train your employees if you aren’t going to arm your supervisors with the skills and knowledge needed to lead your business. Because of this particularity, Matt offers pre-season leadership workshops to ensure your teams are ready for the season ahead. Sound good? Click here for more information.